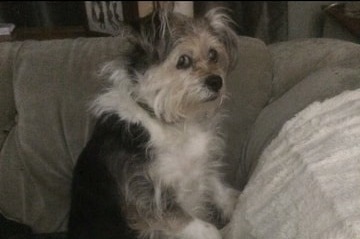 Fundraiser by The Mikulichs : Lucky Needs Your Help! Our dear furry friend Lucky is in a bit of a pinch! She doesn't want to alarm her friends, but she went in for some serious dental work, only to find out that she has a heart condition that needs treatment. The same heart condition is stopping her from getting her much needed dental surgery. If you donate, the money would go towards covering the medication for her heart, as well as covering the very necessary dental surgery that she needs once her heart is okay again. Lucky has been in our family for many, many years since she was a little pup, and we want to make sure she can get the right treatment! Dogs can get expensive, but we would do anything in the world for them. She needs to get her heart fixed as soon as possible, and we would be eternally grateful for anything you can spare to help us out.